I recently purchased this felted wool bead garland on Etsy from Homeroad's shop. I have been seeing wooden bead garlands with jute tassels a lot lately on Pinterest and on other blogs. I had even considered, maybe even planned, to make one with natural wooden beads but was unable to find suitable beads at our local craft shop. I would either have to order beads or wait until a visit to Bemidji again, and a pit stop to Hobby Lobby. I chose for a third option. I checked Etsy for a beaded garland, and quickly found Susan from Homeroad's Etsy shop and this felted garland. It was certainly affordable. Only $20 for wool beads. Imagine my surprise when I received my Homeroad package in the mail! Of course, the wool felted bead garland arrived! 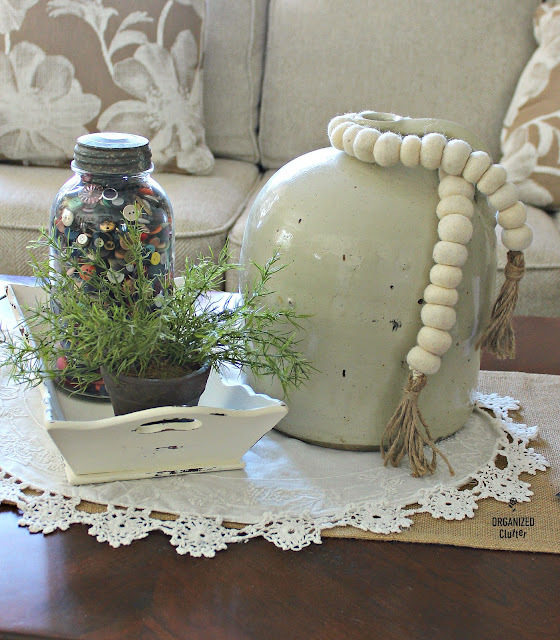 I LOVE it wrapped around my stoneware jug on the coffee table! If you would like to make one, the tutorial from Homeroad is HERE, but if you would like to buy one LIKE ME, the link to Etsy is HERE. 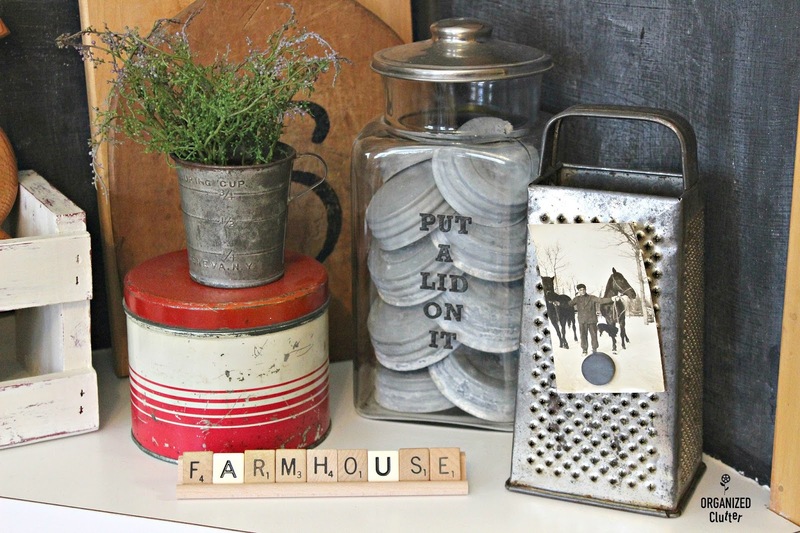 Being a blogging friend of Homeroad is really a plus, because I also received a Scrabble Tile "Farmhouse" rack. Perfect for my kitchen! If you would like to buy a Scrabble Tile rack for your home, the link to Etsy is HERE. Other Scrabble Tile Items from Homeroad Etsy! 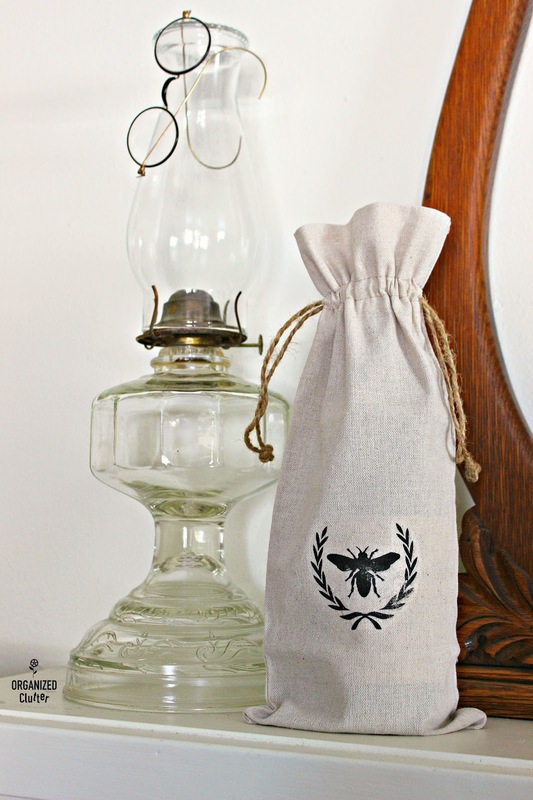 She also sent me this super cute stenciled bee, coarse muslin type, cloth wine bottle bag! The wine bags are for sale HERE! 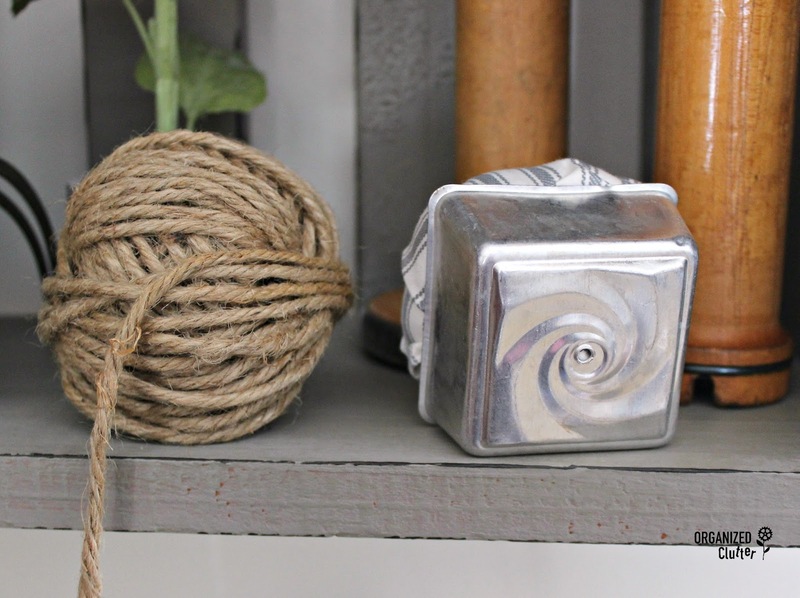 AND this adorable little kitchen tin pin cushion. I have it here on a shelf with my staging props. This will come in handy when I stage my blog projects! I don't sew much... The tin pincushions are for sale HERE. The bottom of the pin cushion tin is swirled. 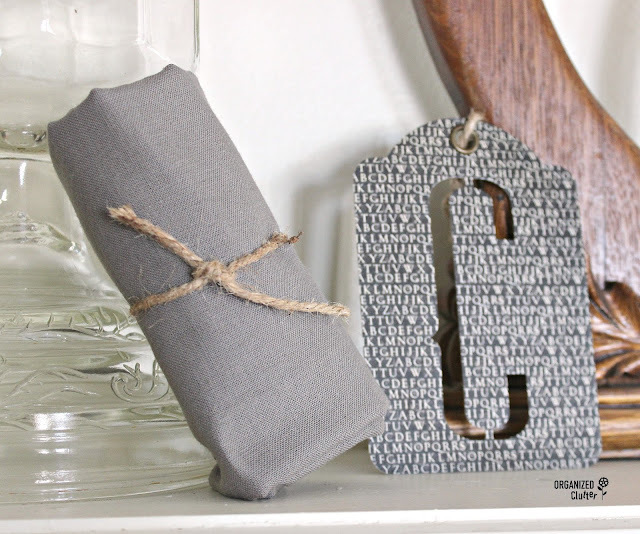 Lastly, I received a gray cotton dish towel and a cool alphabet letter tag with the letter C cutout! 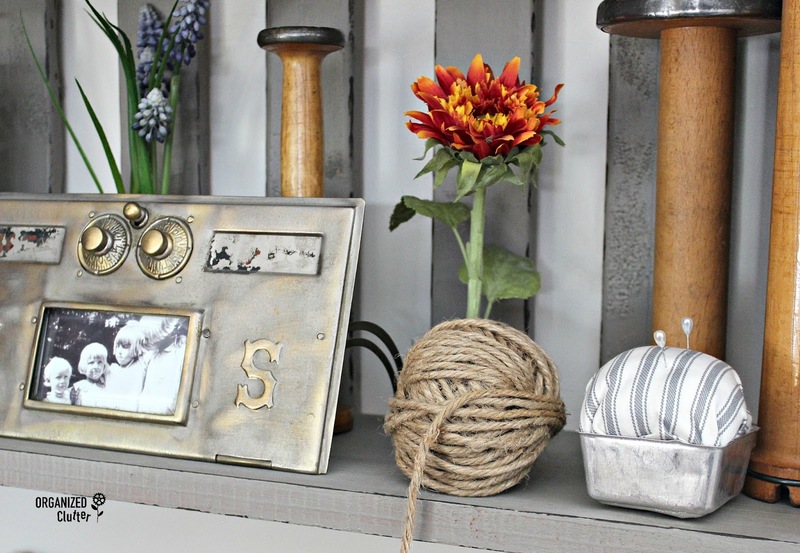 Check out Susan's blog here: http://www.homeroad.net/, and her Etsy shop here: https://www.etsy.com/shop/Homeroad?ref=l2-shopheader-name#items. Thank you Carlene! I'm so glad you enjoyed your gifts :) Thanks for the post! The bottom of the pin cushion! I just discovered little tins with this design. I had never seen it before, and now I see yours! One of life's little reveals! I don't know what I'll do with all of the little tins of this type I've amassed, so for now, I'll just collect. I was thinking of doing some kind of valance type thing for the kitchen at one time, but the idea isn't expanding. Wonderful gifts you received! Love the wool bead garland. 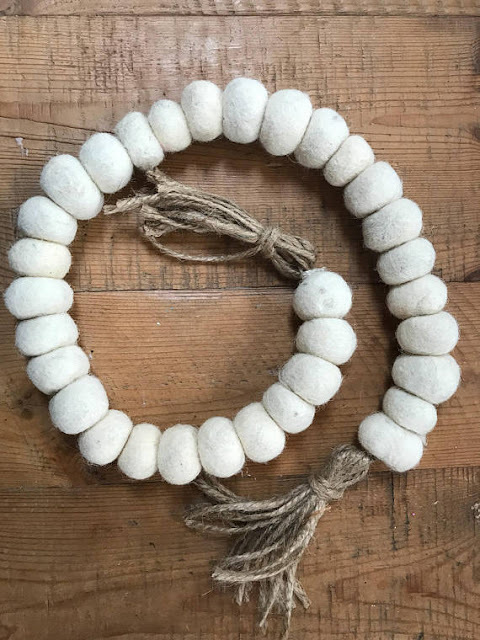 I see the wooden bead garland all over on Instagram posts! I'm not sure of the meaning behind it, but it sure is popular.